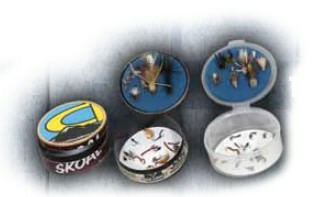 The Little Dipper - Tight Lines Fly Fishing Co.
Do you remember your first fly box? Chances are, it was a long time ago and the memory is already long forgotten. What we would like to do at Cliff is to make that first box memorable. If a kid makes something, they remember it. That is why we are making available the Little Dipper fly box kit. Use the kid as a fun parent/kid project. 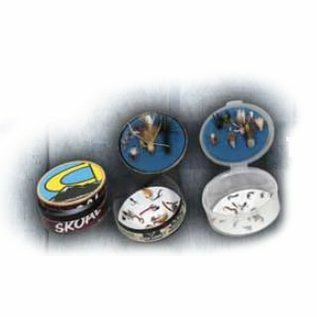 Simply recycle one of those cans (jerky, bubble gum, devil dirt), add the blue foam in the lid and the magnet in the bottom and you have a very practical fly box. More importantly, one they’ll always remember.